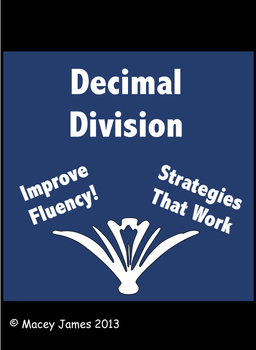 Decimal Division: Fluently dividing with decimal numbers using the standard algorithm is expected in the 6th grade. Achieving mastery is a yearlong endeavor that requires repeated practice. These worksheets will help your students achieve mastery and fluency by providing strategies that students can use successfully. 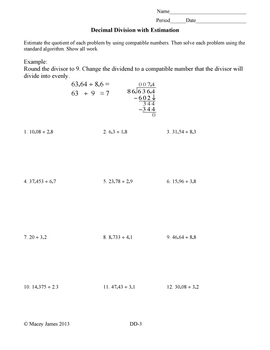 Student are given many opportunities to use the standard algorithm for division and to problems solve in real-life situations. If you like this product, leave a review and earn credits towards future TpT purchases. Follow me for other valuable notifications.